Hi guys!! I am so excited to start at Soul Beauty Boutique offering esthetic services that if you book to see me, you will receive 20% off your services until the end of NOVEMBER! Whhaaatt?! I know, right! How amazing is that?! 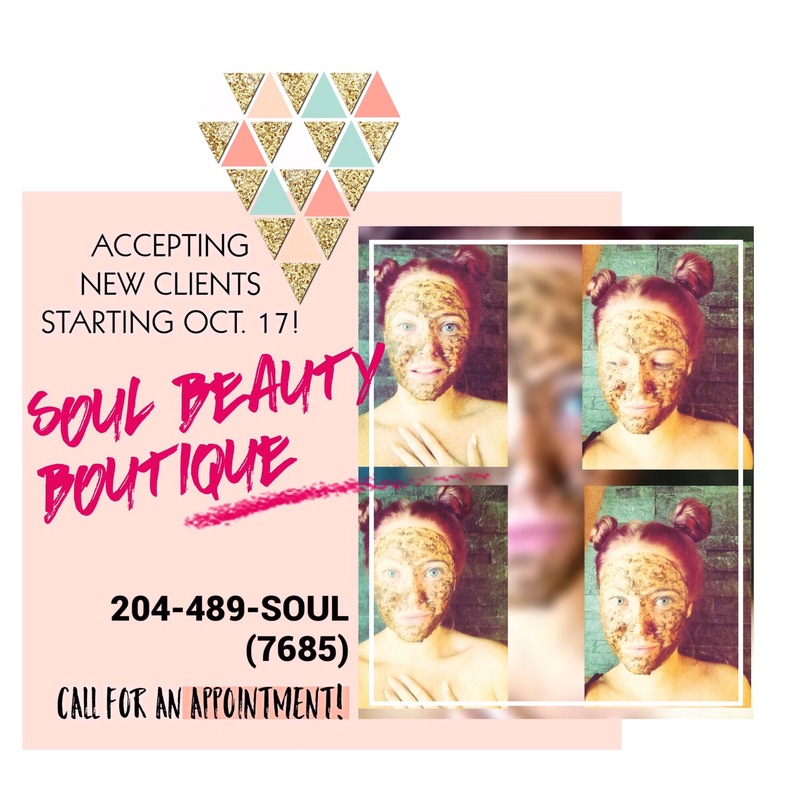 Call Soul Beauty at 204-489-7685 to book an appointment for all your beauty needs!